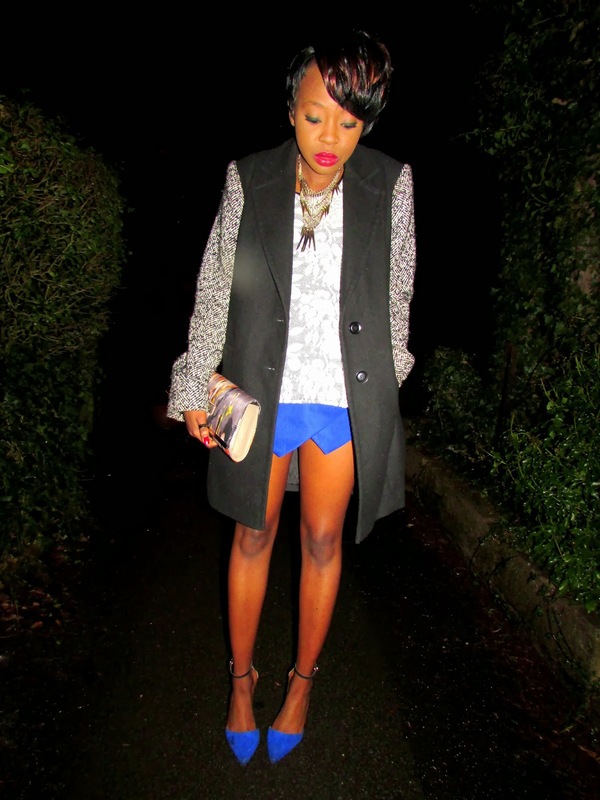 Primark Coat / Internacionale Peplum Top / Internacionale Necklace / Zara Skort Look Alike / River Island Clutch / Internacionale Heels. After what I'd call a pretty hectic week, it was incredibly nice to unwind with some of my favourite people last night at Tiger Tiger. A few cocktails, some crazy dance moves and those photos you don't ever want anyone to see; it's safe to say that I had a really good night. For such occasions, I tend to dress quite conservative and it's very rare to catch me in a dress merely because I don't see a dress as an outfit if that makes any sense. Well, you've most certainly known me long enough to understand why I'm in that frame of mind. Skorts were a huge hit back in 2013 but I'm not quite ready to let go yet; they are too good to ditch. These shoes have become a uniform for nights out, they are super comfortable and I'm not one to walk barefoot simply because my feet are hurting. Why not stick to what you know! I've already started purchasing more pairs like this to add to my closet. 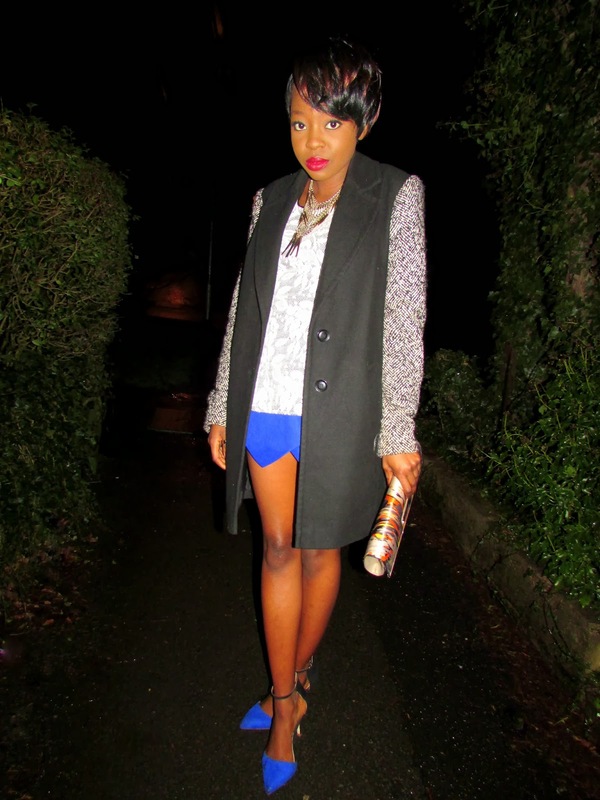 Teaming up my skort with a simple peplum top and of course a coat to keep warm; it was all about uptown chic. 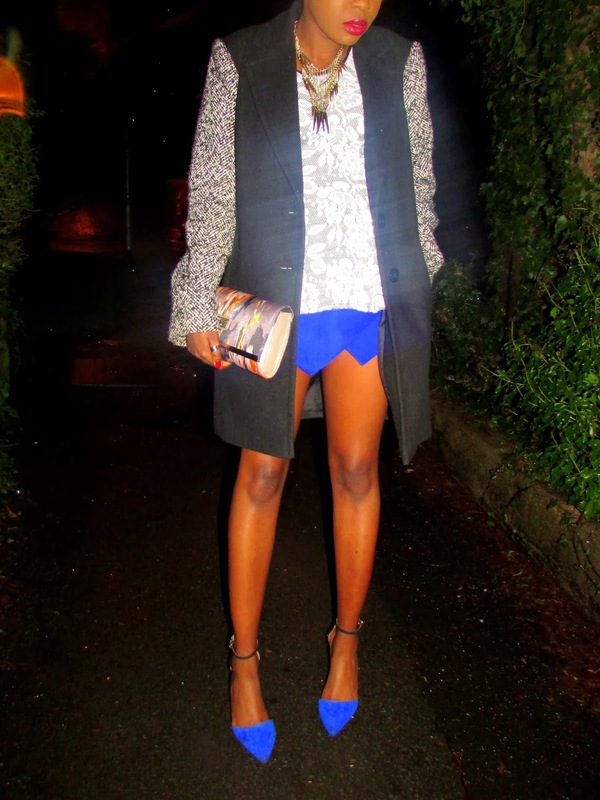 You can never go wrong with chucking on a statement necklace and a print clutch to add some character to your look. And now I leave you with 'Whigfield's Saturday Night' to get you through the week and to get you ready for the coming weekend, we both know what Monday mornings are like! Yes, you're welcome.